Those who meditate are seeking to explore their interior life, the unknown inner levels of their being, for the goal of meditation is to become aware of the center of consciousness within. In order to attain this goal, meditators need to pursue a systematic and methodical technique in order to achieve deeper and deeper levels of inner experience. In such an approach, meditators must first quiet and balance the functioning of their physical body. Next, they must make the breath serene. And then they begin the process of making the mind tranquil. Eventually, they seek to go beyond all the levels of the conscious and even the unconscious mind and establish themselves in their essential nature. This inward exploration is not like the way we look at the external world, when we examine the things around us. We have all been taught to explore and study the objects of this world by our parents and in schools, but the techniques we have learned will not help us to explore the inner world. For this, we must use the precise and exact science of meditation or we will merely waste our time and never attain our goal. The practice of meditation is an exact and precise technique for fathoming all the levels of ourselves and finally experiencing the center of consciousness within. The word “meditation” has come to be used loosely and inaccurately in the modern world. It is not daydreaming, fantasizing, or letting the mind wander and indulge itself or travel into its past grooves or habit patterns. The practice of meditation is an exact and precise technique for fathoming all the levels of ourselves and finally experiencing the center of consciousness within. It is not a part of any religion; it is a science, which means that this process follows a particular order, has definite principles, and produces results that can be verified. Meditation, or dhyana, is a one-pointed state of internal focus which is effortlessly maintained for some time. The goal of meditation is to experience a state beyond the mind’s levels of thinking, feeling, and analyzing. To achieve this, we must create a state that is still and one-pointed so that the mind becomes silent. When the mind is silent and no longer distracts us, then meditation deepens, and finally we attain samadhi, the awareness of the highest state of consciousness. In the ancient tradition of meditation, the science of mantra is a precise and technical process that meditators follow in order to attain their goal. Without the benefit of a mantra, it would not be possible for them to make this inner pilgrimage to the deepest level of their being. That is why mantra is described as either a raft or a bridge on which meditators cross over the river of life and eventually reach the other shore—the state of highest consciousness. Without the help of this powerful technique, our journey would be futile because we would be unable to penetrate and fathom the various levels of the mind and finally reach our goal. The path of meditation is distinct and different from the paths of prayer and contemplation. In prayer, seekers establish a dialogue with the Divine Force and thereby purify the way of the soul. In contemplation, seekers use the conscious mind to examine and consider some principle or concept such as peace, truth, or happiness. Then they allow their minds to assimilate this principle by considering how they can apply it to daily life. Serious students can use all three techniques. There is no conflict between these paths; they are simply different processes. In meditation, the goal is to go beyond the mind and experience our essential nature—which is described as peace, happiness, and bliss. But as anyone who has tried to meditate has experienced, the mind itself is the biggest obstacle standing between ourselves and this awareness. This is why using a mantra becomes so important. Without its assistance, students can meditate sincerely and faithfully without fully experiencing its benefits or even making much progress despite their efforts. The mind is undisciplined and unruly, and it resists any attempts to discipline it or to guide it on a particular path. Thus, many sit for meditation and experience only fantasies, daydreams, or hallucinations. They never attain the stillness that distinguishes the genuine experience of deep meditation. A mantra is a word, phrase, sound, or set of words that seekers use, according to precise guidelines, when they practice meditation. A mantra is a word, phrase, sound, or set of words that seekers use, according to precise guidelines, when they practice meditation. This science is both subtle and profound. It leads to a state in which the meditator allows the mantra to repeat itself internally in the deepest and most subtle way possible. The goal is to give the mind an internal focus, or point of concentration, so that it does not continue its normal, scattered pattern of mental activity. If followed properly, this technique allows the mind to quiet itself and become still. In the ancient tradition of meditation, it was said that mantra and meditation are like two sides of the same coin. Certainly there are some techniques that do not use mantra as a way of deepening the meditative state, but these are generally limited to breath awareness—and such techniques can take students only so far. They cannot help them to attain the highest state. But when students meditate on a particular mantra and make a conscious effort to focus the mind on that mantra, this finally leads the mind to silence. All sounds proceed from silence; the mantra leads the student back to that silence which is called samadhi, nirvana, or the state of tranquility. Thus, among all the methods of meditation, mantra is the most profound and advanced. Students often wonder whether any word or sound can be a mantra, and if they can select a mantra for themselves from a book or by using a word or phrase to which they are attracted, such as the words “peace” or “love.” Actually, the authentic mantras were not invented or developed by any person; they are sounds that were received and experienced by the great sages in states of deep meditation. They are not part of any particular language or religion; they are profound, precise sounds that are eternal and universal. When the sages came back from their deep states of meditation, they conveyed the sounds they had received to those students who were prepared to hear them, and it is these revealed mantras that helped the aspirants to attain the highest levels of deep meditation. The power and significance of a mantra does not result from its literal meaning, but from the power of its subtle vibrations. The power and significance of a mantra does not result from its literal meaning, but from the power of its subtle vibrations. (It is actually the subtle vibrations of the mantras that have the power to encourage and facilitate deeper experiences of consciousness.) But this process cannot be explained or really understood until it is experienced personally at some level. For modern students, this is probably the aspect of the science of mantra and meditation that is most difficult to comprehend. Unfortunately, in the modern world we have become dependent on knowing and experiencing things only through the analytical aspects of the conscious mind. But the conscious mind learns through the external senses alone and thus thinks and “knows” in a very limited and superficial way. This is why modern students often assume that the power of their mantra is due to its literal meaning, and they sometimes maintain their sensitivity to the mantra on this level alone. But actually, there are four levels, or koshas, of a mantra. Its literal meaning is only the most primary and external level at which it can be perceived. The feeling of the mantra is the next, more subtle level; it is followed by its deep presence, or internal awareness. Finally, and most profoundly, the mantra is experienced as soundless sound. The goal of the meditator is to let the mantra deepen to this level. And that is why a personal mantra is not uttered aloud or chanted. No person “gives” another a mantra, but a mantra may be imparted on behalf of a larger spiritual tradition by an experienced and competent teacher to a sincere student who is prepared to receive it. This process is never a part of any business or economic transaction between the student and the teacher, and if the teacher is authentic, there is no taint of personal gain, ego, or selfishness in it. Receiving a mantra is only one part of a special and unique relationship between teacher and student. It exists wholly on a spiritual level. Unlike the other relationships we experience in our lives, it has no mundane, personal purpose. Those who study texts and scriptures can certainly find mantras listed in books, but only an authentic and appropriate mantra, given to a prepared student by a qualified teacher, can help that student attain the goal that he or she is seeking. In many ways, the role of the teacher who imparts a mantra is much like the role of a physician who knows a patient’s diagnosis and the appropriate medication for that condition. But even though a mantra may be authentic, if it is given to a student for whom it is not appropriate, it may be of no benefit, or may even cause problems for the student. Thus, those who are serious and sincere in their desire to meditate are advised not to experiment with practices found in books. They should prepare themselves to receive such a teaching by working to purify their body, senses, and mind through preliminary practices. Eventually, it is said, sincere students will find a qualified teacher who has practiced and experienced what is being taught. The superficial teachers so common in the modern world do a disservice to the tradition of meditation by disillusioning many students and making them wonder if there is any authentic living tradition. Qualified teachers still exist; if students have a strong desire to progress, they will eventually find what they are seeking. To be beneficial, a mantra must be appropriate to the student’s level of attainment, personality, desires, and attitudes, and when it is imparted it must be used in a precise and specific way. Mantras are not spoken or muttered on the gross physical level, with the mouth, tongue, and voice box. Instead, they are first heard mentally and then allowed to become increasingly subtle and fine. The goal is to eventually achieve a state of constant, effortless awareness called ajapa japa. There are two types of sounds: those which are created by the external world and heard by the ears, and those inner sounds which are called anahata nada, unstruck sounds. These do not vibrate in quite the same way that sound vibrates in the external world, and they have a guiding or leading quality which carries the meditator to the center of silence within. Mantras that are used in meditation do not obstruct or interfere with the flow of the breath; instead they help to balance and refine the breath. This leads to a unique and special state in which the sushumna nadi, or subtle channel, is active and the breath flows freely and equally through both nostrils simultaneously. This is different from the normal functioning of body, breath, and mind when either the left nadi (ida) or the right nadi (pingala) is active and the breath is dominant in one or the other of the nostrils. When students succeed in activating sushumna, and the breath flows evenly through both nostrils, breath and mind function in complete harmony. This special state is ideally suited for meditation, for when it is achieved the mind becomes completely inward in its focus. As the mind becomes inward, it disconnects from the external senses, and then meditators will experience a flow of thoughts, impressions, and emotions coming forward from the unconscious mind. This is the storehouse of all the impressions of our lifetime, and they have created deep grooves in the unconscious mind that can be disturbing. The purpose of mantra is to help us to go beyond these grooves and create new, beneficial channels. The mind then begins to flow spontaneously in the new grooves created by the mantra and becomes concentrated, one-pointed, and inward. As the mind centers on the mantra, the other impressions, memories, thoughts, and emotions of both the conscious and unconscious mind become still. Once students have received a mantra, they should practice meditation with it for some time and bring it to increasingly subtle levels of experience. Sometimes, however, modern students become impatient after practicing the mantra for only a few weeks or months, and feel that they are making no progress because they cannot see any dramatic or immediate external changes as a result of this practice. Some conclude that their mantra is not the “right” mantra, and seek other practices. Others simply discontinue their practice, discouraged by what they see as lack of progress. This is like the impatience of small children who plant tulip bulbs in September, and then want to dig them up two days later because they have not yet seen any signs of a flower. You should work with the mantra with full dedication and deep feeling for some time. Patience is essential in the practice of meditation. You should work with the mantra with full dedication and deep feeling for some time. Eventually, it becomes like a loyal friend who will never abandon you and is always there to help you. That is why teachers sometimes tell their students that dependence on any external person or object will always disappoint them at some time, but seeking solace and comfort from the mantra will always be helpful—especially during those times in every human life when loneliness and doubt exist. When you begin the practice of meditation on a mantra, you are systematically working to make the more remote levels of your own inner experience successively deeper. 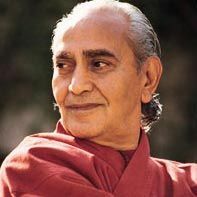 This process has two aspects: It refines and purifies the existing impressions of the mind, and at the same time, it cultivates and deepens the experience of the mantra. Because most people have not yet acquired much awareness of the deeper levels of themselves, it is not easy for them to observe and appreciate the changes that are taking place during this process. But as you continue to practice meditation on the mantra, the internal process that is taking place will eventually reveal itself. As it does, you will begin to know yourself as you really are.